During a fire extinguisher inspection, you will want to make sure everything is up to par. This will ensure your fire extinguisher is in great shape and you won’t have any complications if a fire does occur. In this blog, we will highlight the main reasons that you could fail your fire extinguisher inspection. If you fail the inspection, then you will need to replace your fire extinguisher or make the necessary changes. 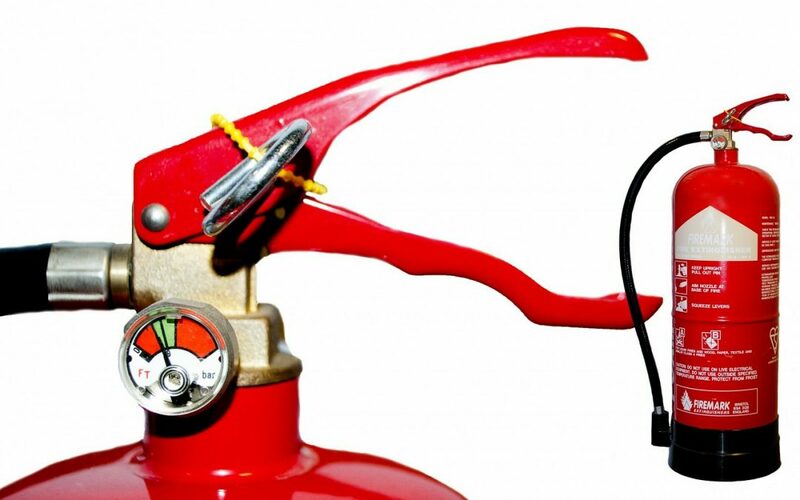 Corrosion and damage can easily develop overtime, leaving you with a fire extinguisher that won’t properly function. During an inspection, the fire protection inspector will look to see if you have any rust, dents, build up, or other issues with your device. The hose on your fire extinguisher can build up with debris and other blockages, which can cause obstructions. There could also be deterioration in the O ring, causing issues with the functionality. That’s why the inspector will be sure to remove the hose and check for any issues during the examination. No matter what size, if your fire extinguisher has a leak, it can cause some serious problems and you won’t be able to use the device in your time of need. You should check the pressure gauge to see if there are issues. If your fire extinguisher doesn’t have a pressure gauge, then an inspector will need to take a look and test the compression level. Because the label on your fire extinguisher has instructions on how the device works, it’s important that the label remains completely legible and intact. If the inspector spots wear and tear on the label or extinguisher, then you will fail the examination. That’s why you should keep the extinguisher in a safe place, free of wear and tear. Often times, people don’t think about how they need to charge their fire extinguisher or replace the battery. Even if you use your fire extinguisher one time, you should recharge the battery to make sure it will work when you need it. Also the battery in your fire extinguisher will expire so make sure you remain up-to-date on inspections and maintenance. The NFPA (National Fire Protection Association) requires that you check the gauge on your fire extinguisher on a monthly basis. They also require that you schedule a professional fire extinguisher inspection at least once a year. Frontier Fire offers fire extinguisher inspections and maintenance services throughout the Rocky Mountain Region. Along with our other fire protection services, we’re known for providing top of the line equipment and inspections. If you’re in need of an inspection, give us a call today!